Hanyang University (HYU)’s Paiknam Library is holding a ‘Freshmen Book Report Competition’ from September 3 to 9, and is calling for all freshmen to participate. 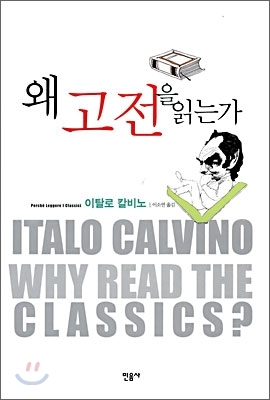 The designated book for the freshmen to read is called ‘Why Read the Classics?’, written by an Italian writer, Italo Calvino. This book, specifically selected by Lee Youngmoo, the President of HYU, introduces the hidden charm behind each classic. The competition aims for the freshmen to attain knowledge about the liberal arts, and also to deeply contemplate the meaning behind each literature piece and sharing their ideas with each other. In addition, the competition will be a chance to improve critical thinking and writing skills. The book report should include the writer’s perspective for better evaluation. Other factors include how a reader felt about the necessity of classical literature and how one’s attitude has changed after reading this book. Winners of the competition will be awarded with scholarships, certificates, and a HY-Reader score of 50 points, and 20 HY-reader points will be rewarded to the rest of the participants. Winners will be announced on September 20, and the awards ceremony will take place on September 28.